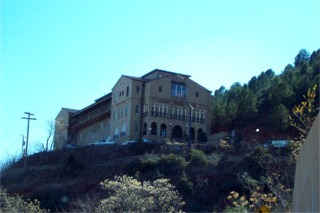 On the way into Prescott we stopped at the Grand Hotel in Jerome AZ. This place used to be a hospital when it was built in 1926. It was the most modern and best equipped hospital in Arizona at that time. Lunch at the restaurant was excellent. Highly recommended, after all you are more then a mile high here<grin>. 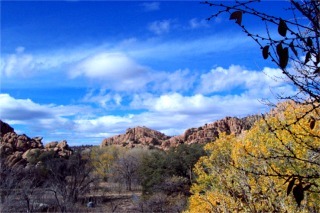 This view was out the window looking north of where we stayed in Prescott. The views and accommodations were wonderful. 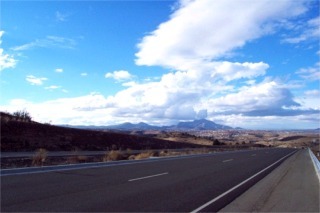 Just a roadside shot of the thunderheads. I have a hard time not stopping when I see a nice picture waiting for me. 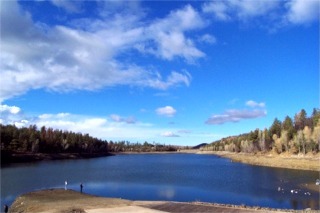 This picture is of Lynx Lake just outside of town. Where you see the light colored dirt on the sides is how low the lake is. There is a restaurant at the far end of the lake where you can eat overlooking the lake. This is a picture of the McCormick Arts District (MAD). An eclectic are of the town by all standards. It was closed when we were there and I wanted to go back but we never made it. 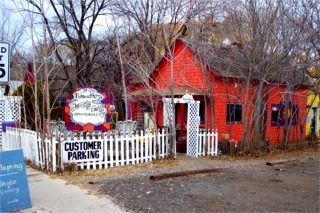 They have the Prescott Area Poets Association (PAPA) who perform there and 9 different shops. Each is painted an outrageous color. This is a photo of the Governors Mansion in Prescott. Prescott used to be the capital of Arizona. 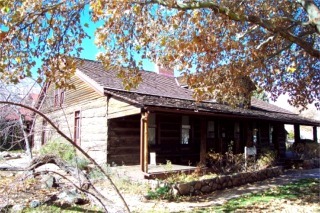 The building was built in 1864. Now there is a museum called the Sharlot Hall Museum built around it. Prescott has done a wonderful job maintaining it's history.